Grand Cesa's Hotel, three star hotel with capacity for 100 guests. We are a company dedicated exclusively to Huaracino hotel business which was founded in 2006, provide a good service quality according to our category, meeting the needs of our customers at reasonable prices, we have standards in service and customer care concerned. We offer all our infrastructure in a modern and functional building, equipped with all necessary amenities to make our guests feel at home. 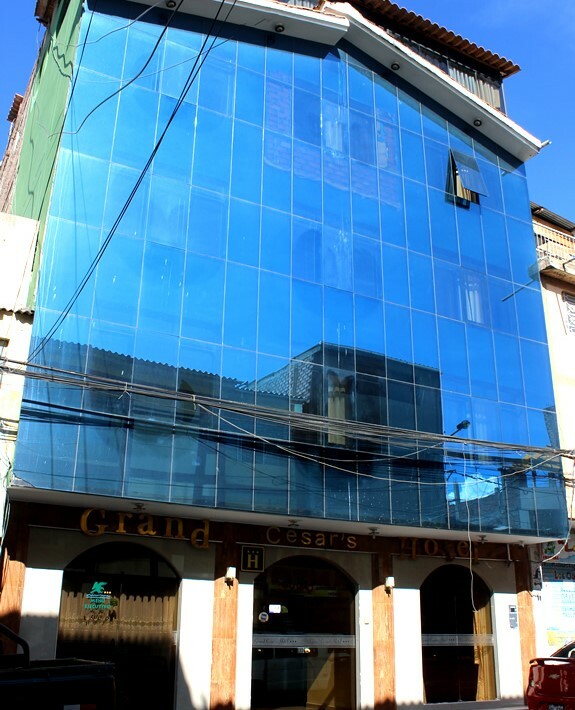 Our hotel is located in a central location just 50 meters from the main square of our city of Huaraz, has an excellent location and provides our guests with quick and easy access to all services offered Huaraz..
Our mission as a hotel always provide the best services, always with the best quality and our customers is our priority to make you feel in an atmosphere of comfort, peace and security so that the only thing that comes to our hotel to rest our excellent rooms. It gives us a goal that requires us to always be updated to have the best services and become the leading hotel and be the best level for the satisfaction of our clients are completely satisfied to settle in our hotel. Our values are daily requirements such as order, cleanliness, punctuality, responsibility, honesty, and love to work, which forms us as a company quality ready to serve you.